Could a Universal Basic Income Solve Appalachia's Post-coal Poverty? In central Appalachia, where one in four residents live below the federal poverty line, the shutdown adds urgency to a long-standing debate about what a safety net in rural America would look like, and whether there are ways to construct programs that would be more immune to the politics of the moment. One solution increasingly becoming a part of the mainstream political discourse: Universal Basic Income. UBI—a federally-provided, no-strings-attached monthly payment to all U.S. adults, similar to Social Security—has been proposed as a potential solution to rampant poverty since Richard Nixon’s presidency. More recently, it has emerged as part of the Green New Deal, introduced by Rep. Alexandria Ocasio-Cortez of New York. Ocasio-Cortez’s proposal found initial support from at least 40 members of Congress. Economic theories aimed at giving low-income communities more cash-based aid are often modeled on urban impact. But there is growing interest in examining how UBI—a policy that has drawn bipartisan curiosity and support—could be a potential answer for generations of poverty in rural America as well. As of late, national support for a UBI has come from progressive circles, but the theory has historically drawn support and criticism from both sides of the political aisle. Progressives like Ocasio-Cortez have pushed the idea as a way to support Americans whose incomes would be disrupted by the end of the nation’s fossil fuel economy—the central goal of her Green New Deal. But even some of the country’s most notable conservatives, including former House Speaker Paul Ryan and Florida Sen. Marco Rubio, have floated their support of similar consolidated welfare systems, where a single payment would replace individual anti-poverty government programs like food stamps and housing assistance. Many opponents tend to focus on concerns that a Universal Basic Income would too closely resemble a welfare system gone wild, without accountability on either end. But UBI supporters say that without it, economic disparities—especially along geographic boundaries—will only grow. Historically, local economies in Appalachia have been dependent on one or few industries. Until the recent past in central Appalachia, coal was king. Economists refer to this as the establishment of a mono-product economy, or a mono-economy, and some Appalachian communities are experiencing multi-generational effects of the decline of the extractive industry in their communities. 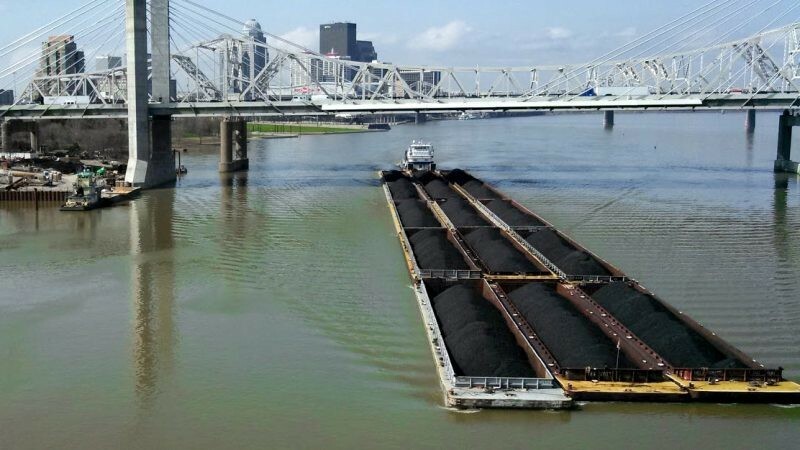 Coal industry employment fell at a rate of 27 percent between 2005 and 2015, with the largest losses concentrated in the central Appalachian coalfields of eastern Kentucky, southwest Virginia and southern West Virginia, according to the Appalachian Regional Commission. Shifts in global energy prices and demand, plus depleted coal reserves and the increased cost to mine what’s left, are largely to blame for the most recent decline in coal industry jobs. But for decades, Appalachian miners have also been dealing with the mechanization of their industry. Further automation and mechanization tied to the tech boom are now widely seen as a potential threat to working people everywhere. Those same looming changes threaten the displacement of workers in any number of industries, and are now used as an argument, in many cases, to support UBI. Many Appalachian communities have attempted to deal with job losses by retraining skilled miners for new opportunities in the tech industry—programs in eastern Kentucky are teaching laid off miners to write code, for example—but Fadhel Kaboub, an economics professor at Denison University in Ohio who studies UBI theory, emphasizes the ineffectiveness of retraining workers as a way to reintegrate them into the workforce. “Work-oriented and employment-oriented programs tend to focus on training and changing people’s behavior without actually creating the jobs that people need,” leaving them without viable work opportunities, Kaboub said. Ocasio-Cortez’s Green New Deal would include a federal jobs guarantee program providing “all members of our society, across all regions and all communities, the opportunity, training and education to be a full and equal participant in the transition.” Without that component, Hamilton explains there will be more competition for the jobs that remain, depressing wages even further. Although opponents disagree, Hamilton argues that a Universal Basic Income comes with no such disincentive for finding fulfilling work. “If Appalachian families were to receive a basic income, they would be able to rebuild local economies through small business development and become less dependent on national economic trends, without risking the loss of basic household security,” she said. Many recent experiments in the UBI space have been centralized in urban areas, like Chicago and Stockton, California, where, in both cases, the cities chose a small number of citizens to participate in a pilot project, providing them with a modest $500 a month stipend. Both projects began in 2018 and impacts have not been analyzed. In Jackson, Mississippi, a new program announced in December has promised a group of 12 black mothers $1,000 a month as a sort of a basic income program. The year-long pilot, called the Magnolia Mother’s Trust, is a project of Jackson-based nonprofit Springboard to Opportunities, a group that connects families living in subsidized housing with community resources. Aisha Nyandoro, Springboard To Opportunities’ CEO, said that the so-called radical concept of a UBI program came to the team in a very old-school way: from actually talking one-on-one with the families they offer aid to, and asking what they need the most. SNAP and other government benefits cover certain aspects of living in poverty, but leave a lot of gaps when it comes to covering costs like child care while working other jobs, or gas to get to work. Her goal is to eventually create a larger randomized experiment in Jackson, with a control and comparison group, to examine over a larger period of time how individuals are utilizing the resources, and how participants lives change when the concept of of cash without strings attached is introduced into the complex poverty equation. “How we will begin to act on poverty in this country is when we get to the place where we’re changing policies, we’re changing systems and having much broader conversation about how our safety net system is currently lined out,” she said. Nyandoro sees a lot of similarities between Appalachia and the deep south in terms of generational poverty. Where other pilot studies have focused on the working poor, Magnolia Mother’s Trust has honed in on those making less than $12,000 a year. The main obstacle Nyandoro sees in Jackson, and everywhere, is challenging conservative stereotypes that assert poverty and navigating a broken system as punishments for being poor. By placing this money with no strings attached, she hopes to cut through that rhetoric and place the focus on individual’s choices, not prescribed guidelines. In a more rural setting, like Alaska, Hamilton’s position that a UBI will bolster local economies and, in turn, create more local jobs has held true. A 2018 report from the National Bureau of Economic Research examined the Alaska Permanent Fund. While it’s not billed as UBI, the fund has provided an annual stipend since 1982 to every Alaskan. Those payments, of on average $2,000 per person, come from a collection of state oil and mineral leases. The NBER study found that Alaska’s program had no impact on the number of people working full-time jobs in the state, and increased those working in part-time positions by 17 percent. Rural Appalachians, however, may not see it Kaboub’s way. In Bluefield, West Virginia, Pastor Travis Lowe works with local business owners at the think tank REBUILD.REVIVE.THRIVE, which focuses on connecting local businesses in need of employees to potential workers looking for employment. “Unemployment is tied to an increase in hospital visits, ER visits, overdoses, drug addiction… and I don’t think it’s simply because they don’t have money coming in,” Lowe said. But he isn’t so sure UBI would solve many of these problems for Appalachians, because he believes federal disability benefits are already filling a lot of the same gaps that a proposed basic income might. But disability benefits are also causing a problem for Lowe’s segment of Appalachia as he sees it: dependency on government benefits that require them to sit out of the workforce. “I recognize that this community is in tough shape, and they need a little bit of extra help, and I’m all for that,” he said, but in order to collect disability, beneficiaries cannot take on any paying work, which Lowe sees as essentially forcing them to become unproductive members of society. To Lowe, UBI could enhance that problem, pushing even more rural Appalachians out of the workforce in a place where finding a job is already difficult enough. While he agrees that money in-hand is better than nothing, he has seen himself the ways that the entire welfare system would need to change before that cash translate to real revitalization in Appalachia. “I think that when you have a hand tied to something that says you have to promise to not be productive… I think that is more important than a Universal Basic Income, the idea of purpose,” he said. Lowe sees hope in conversations around the proposal, though, especially when framed with the proper historical and regional context. The dynamics of the Appalachian political economy have historically served to centralize wealth among energy, land and mineral company owners and dispossess community members of the means to fill even fundamental material needs. The region has produced a considerable quantity of the nation’s energy, yet has never seen a commensurate share of the profit, while at the same time experiencing an uneven distribution of environmental risk and job losses due to the mechanization of the main industry for many communities. “In the 1980’s in coal mines, when they started to be able to mine as much coal with two employees as you used to be able to mine with 500, there’s 498 people that lost their job in a day, [and] not because because coal suddenly became a thing of the past,” Lowe said. With failing infrastructure and geographic isolation that prevents many families from meeting the employment requirements necessary for maintaining a steady stream of welfare, Appalachia could be a true test bed for the viability of a Universal Basic Income. And in a small way, it already has. In 2016, rural Tennessee was victim to the deadliest wildfires in the state’s history—the Great Smoky Mountain Wildfires. The fires resulted in approximately 1,300 damaged homes. Soon after, the Dolly Parton Foundation launched the My People Fund, awarding individuals facing financial and emotional damages personal aid in the form of $10,000 each in payments over six months. Dr. Stacia West, a professor at the University of Tennessee College of Social Work, used findings from the program to explore what a guaranteed and Universal Basic Income could look like in an Appalachian microcosm and set out to understand the fund’s effects on the overall well-being of its recipients. Among other results of the longitudinal study, West and Stacy Elliott, a PhD student in the college, found that the cash transfers, according to a majority of the respondents, were the most helpful form of support to mitigate their material and emotional damages after the fires, similar to the results of other UBI experiments in more urban settings. In Appalachia, experts believe that by further reducing the cost of living through supplemental payments, the UBI could help mitigate the rampant issues of scarce job opportunities and fleeting businesses and could encourage greater regional equality for the region with the rest of the nation. This story was co-published with Spotlight for Poverty and Opportunity, a nonprofit, nonpartisan site featuring commentaries and original journalism about poverty and mobility. Follow us on Twitter @povertynews. Read the story on their site here. Lovey Cooper is a contributing editor with 100 Days in Appalachia and engagement editor at Scalawag magazine. Her work focuses on policy, justice, and the intersection of politics and culture in the South and Appalachia. Liz Price studies Feminist Studies and Appalachian regional policy at Ohio State University where she is working on a manuscript on the racial logics of the American opioid crisis.